Music therapy is a clinical and evidence-based health profession that utilizes music as a therapeutic tool to support a variety of populations in achieving individualized goals through a therapeutic relationship with a credentialed professional. Effective use of music as a beneficial medium depends on the “appropriate use by the therapist” (Davis et. al., 2008). The therapist must be a good musician as well as a good therapist, and must employ skill and knowledge of health problems in addition to tested theories of practice. Music is a powerful medium because it is a universal phenomenon experienced by all cultures, and its dynamic nature allows it to be flexibly used in myriad contexts. The effectiveness and generalization of skills in response to music therapy practice has been demonstrated through continuing research that dates back to the treatment of Veterans following World War II in 1950. The purpose of music therapy is to achieve goals and objectives that are specific to each individual client. These goals fall into several basic domains of human functioning, including physical/motor, cognitive, emotional, communication, psychosocial, and musical. Improvement of overall quality of life is another integral aim of the practice. These overarching goals can manifest and have been proved effective in a plethora of more tangible objectives such as managing anxiety and stress, improving motor skills and facilitating physical rehabilitation, decreasing experience of pain, identification and expression of feelings, stimulation of memory, and improved communication skills (American Music Therapy Association, 2014). The clinical application of music therapy leverages the use of musical interventions, which are specifically designed to target client goals using preferred music, and reflecting relevant research on the presenting problems and population served. Intervention techniques and protocols are demonstrated through the use of interactive music making, movement exercises, receptive music listening for relaxation, music and imagery, songwriting, lyrics discussion, improvisation, music combined with creative arts, and many other constantly developing manifestations (Davis et. al., 2008). These interventions are implemented by trained music therapists, who are skilled musicians and able to accommodate the needs of each individual client as a session progresses. Assessing the clients’ needs and documenting progress towards the goals helps therapists to design interventions that have the highest probability of success. Music therapy is effective for a broad range of populations, including, in order of prevalence, individuals with behavioral/emotional disorders (mental health), developmental or intellectual disabilities, medical or surgical clients, older adults with dementia or Alzheimer’s disease, and those with neurological disorders (Davis et. al., 2008). Children or adults with Autism Spectrum Disorders also make up a significant population served by music therapy. These populations can be served in various clinical settings, such as mental health centers, classrooms or school settings, hospitals or other medical settings, prisons, private practice, or geriatric facilities, which are currently the largest employer of music therapists. To develop the skills necessary for the practice of music therapy, acquisition of a credential, Music Therapist – Board Certified (MT-BC) is required and given by the Certification Board for Music Therapists. Before sitting for the board certification examination, coursework in music, music therapy, and behavioral science must be completed. 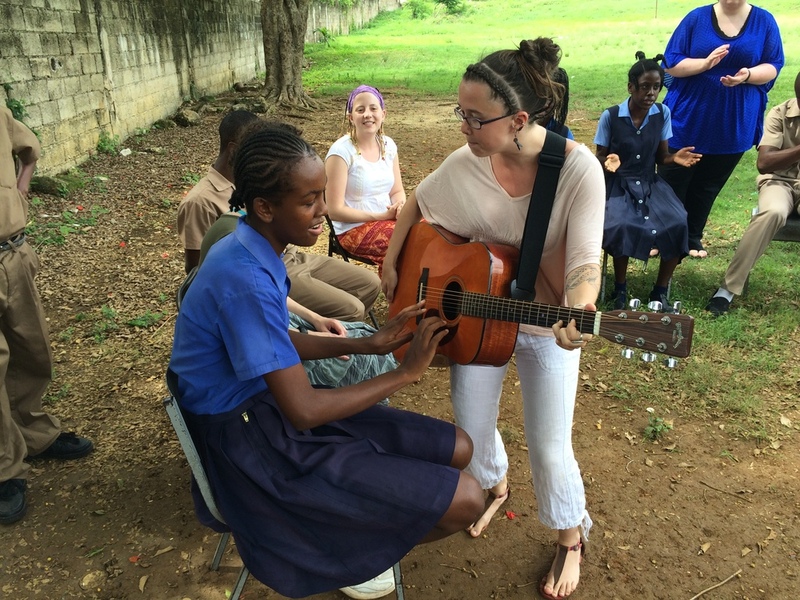 In addition, potential music therapists must demonstrate music skills and competencies, as well as significant experiential learning through fieldwork under the supervision of a Board Certified Music Therapist. Finally, music therapy students must complete a 6-month internship after completion of coursework and fieldwork to be eligible to sit for the examination. Once the MT-BC credential is attained, many specific qualifications can be pursued for continuing education, including Neonatal Intensive Care Unit Music Therapy, Neurologic Music Therapy, The Bonny Method of Guided Imagery and Music, and Nordoff-Robbins Music Therapy. This extensive education and training ensures adequate music and therapeutic competence, as well as familiarity with research in related fields and the ability to document progress towards therapeutic goals. Davis, W., Gfeller, K., & Thaut, M. (2008). Clinical Practice in Music Therapy. An introduction to music therapy: Theory and practice (3rd ed., pp. 181-208). Boston, Mass: McGraw-Hill.